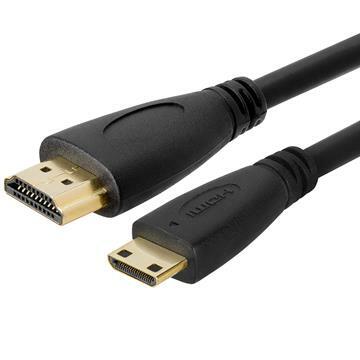 HDMI cables for tablet PCs — Amp up tablet connectivity. A tablet computer is conveniently compact, but sometimes you want to enjoy entertainment on a bigger TV or present on a larger screen display. With a mini HDMI cable, send audio and video signals in a single high quality tablet TV cable. Enjoy HDMI tablet TV with high performance visuals and high resolution sound via our HDMI cable offerings in many lengths and colors. It’s up to you, though, whether to take advantage of this for Sopranos drama or Seinfeld laughs.